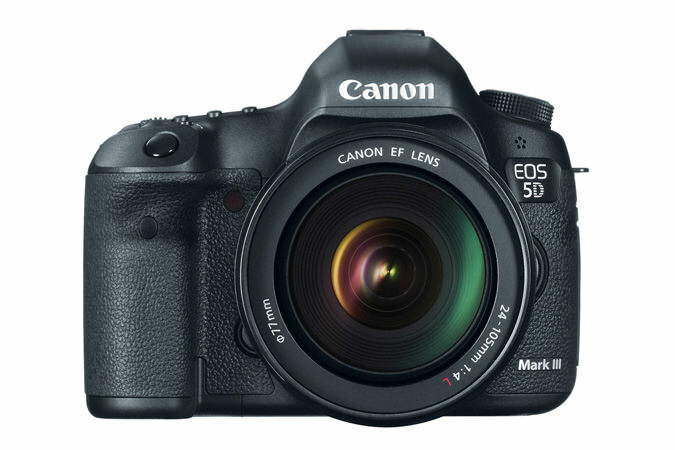 The 5D Mark III can now shoot full resolution stills up to 6 frames per second. 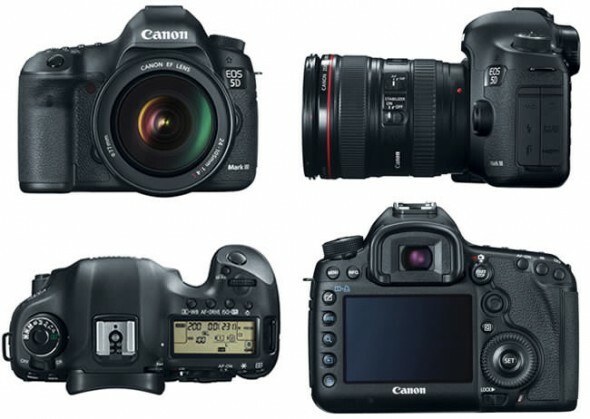 Canon is hoping the new faster continuous shooting over the 5D Mark II and improved weather resistance (you get a magnesium alloy body with dust and moisture resistance) will increase the 5D Mark III’s appeal to sports and wildlife photographers. 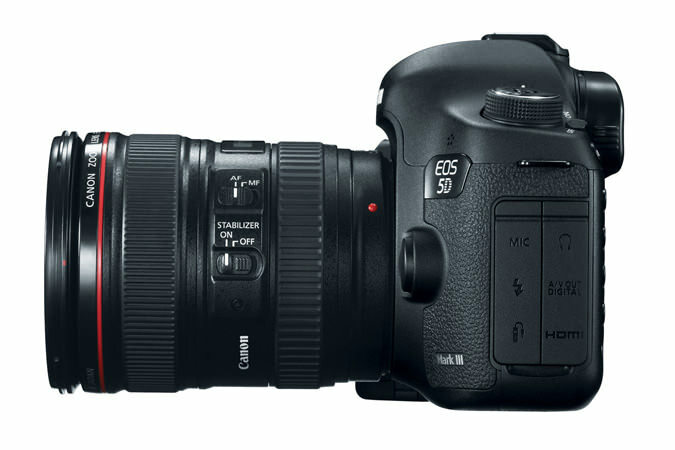 The camera has an ISO 100 to 25,600 sensitivity range, which can be extended to ISO 50 for studio and landscape photography or up to 51,200 and 102,400. 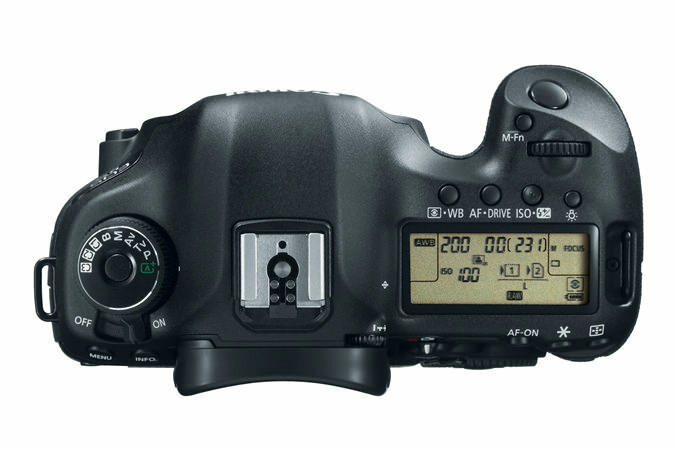 Another new focus point is video, with the Mark III capable of 1080p at 24, 25 and 30fps footage up to 30 minutes. Something videographers will love is the simple, but very useful, addition of a headphone jack for monitoring live audio, a first for any EOS camera. So everything is great huh? 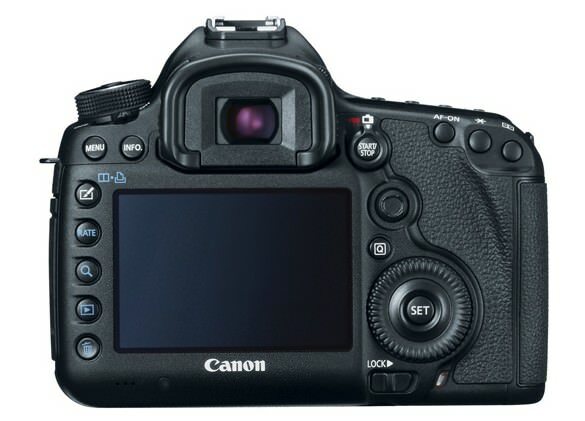 Well only sticking point is price, with Canon setting the bar at $3,499 (€3,299 and £3,000) for the body-only. 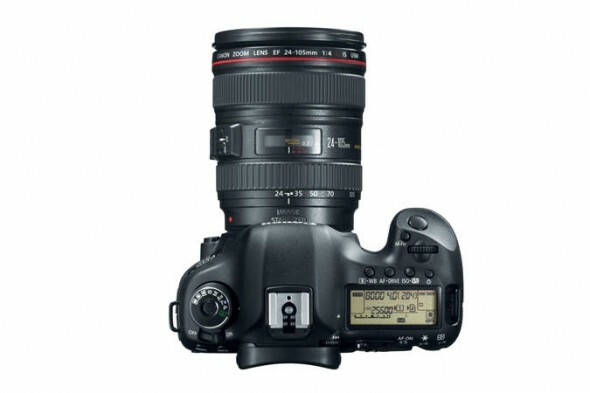 You can also grab the EF24-105mm f/4L IS USM zoom lens kit for $4,299. 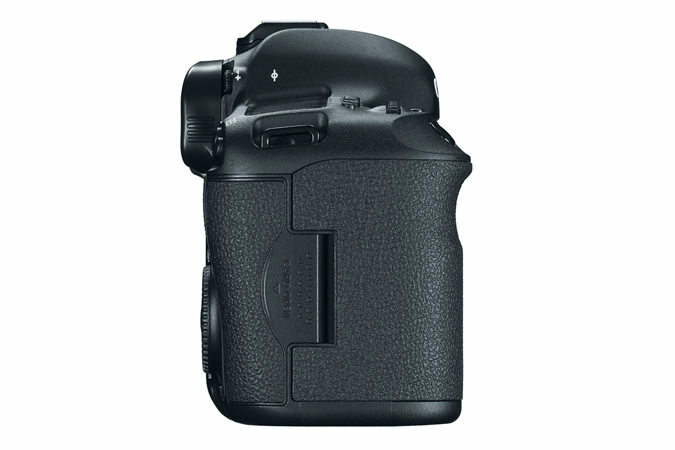 The camera will be available starting end of March while it’s already up for pre-order here. 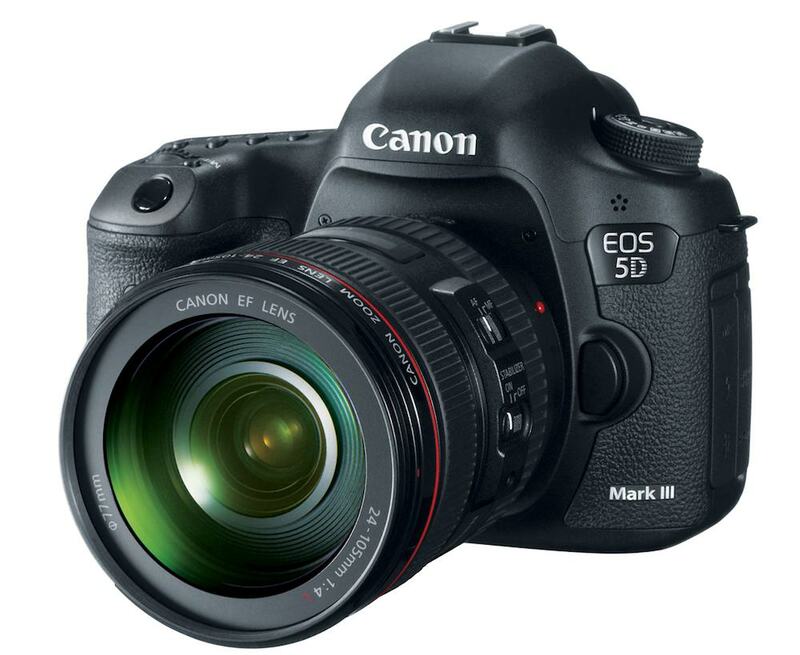 Canon is positioning the 5D Mark III between the 1D X and the 5D Mark II, with the price of the latter going down. 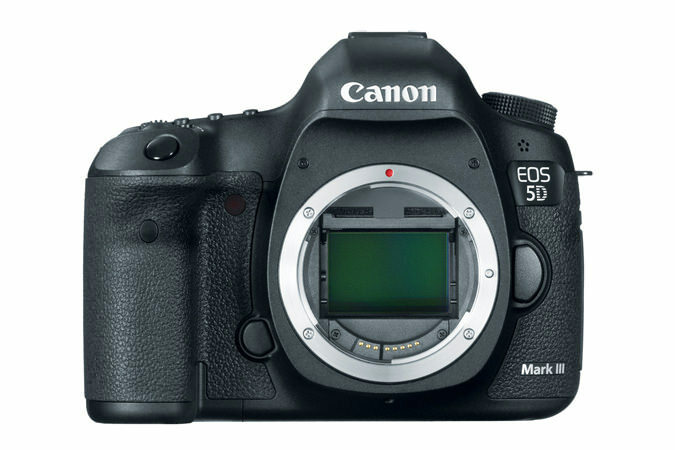 In fact, Amazon is already selling the 5D Mark II now for $2,160, which is a good entry price for a full-frame camera.